One of the things I’ve always loved about living in southeastern Michigan is the multitude of cultural institutions and attractions available for residents to explore. I’ve touched on some of these great places in previous posts but there is so much more to share. We are so lucky to have these pieces of history open to residents and visitors. The Henry Ford in Dearborn, encompassing Greenfield Village, Henry Ford Museum, Benson Research Center, IMAX Theatre and Rouge Factory Tour, is one of my favorite places to visit. I love exploring the past and learn something new every time I visit this fascinating place. 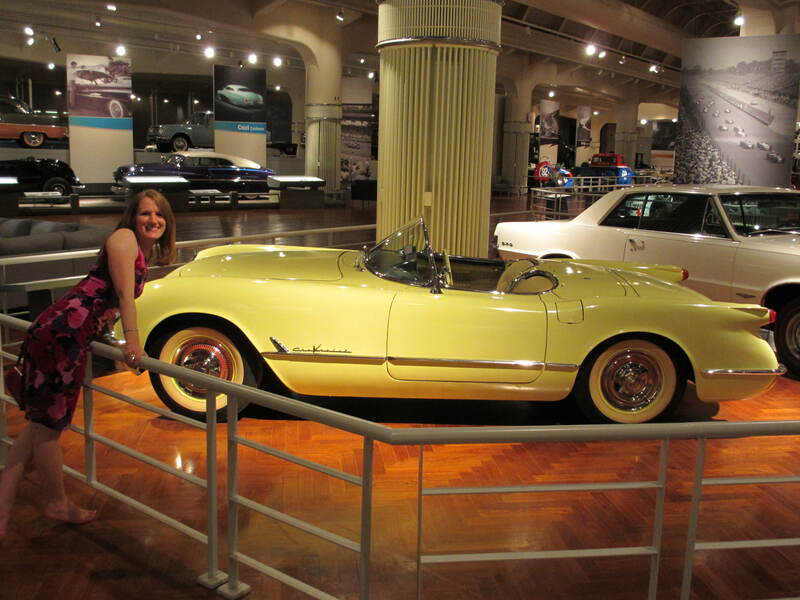 So I was excited when Justin and I recently attended our friends’ wedding at the Henry Ford Museum. It was a beautiful event and we’re so happy for their new marriage! The ceremony was held inside the Anderson Theater and the reception took place inside the museum. The couple provided guests the opportunity to have access to the entire museum during the reception, which let us explore on our own without crowds. It was very cool! examples of design innovation. It certainly is a wonder to walk through the aisles of the museum, falling back in time, learning about the leaders in space, automotive, civil rights and other areas of our society. Currently, Titanic: The Artifact Exhibition is on display through Sept. 30, 2012. This takes visitors back to 1912 to see more than 300 artifacts relating to the ship and the fateful voyage; many haven’t been on display in Michigan before. 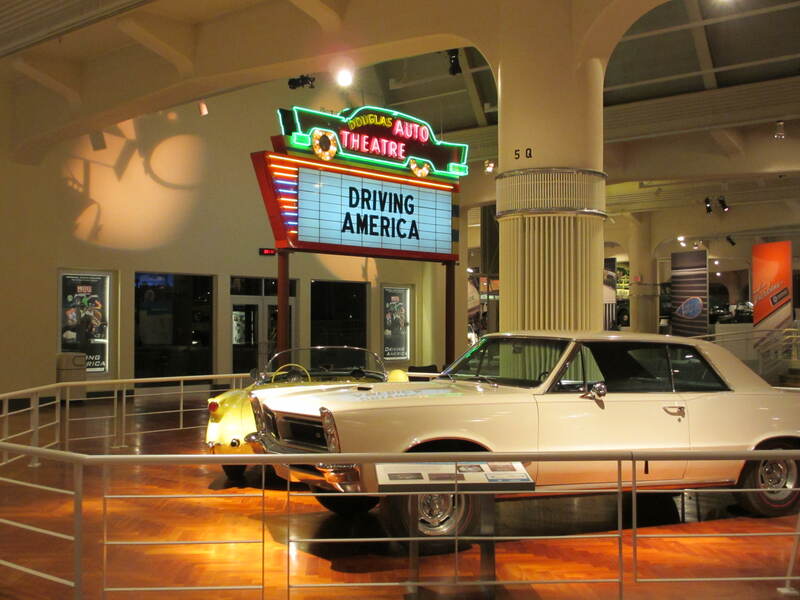 During our recent visit, we encountered a new exhibit, Driving America. It includes an amazing collection of historic vehicles. You’ll see cars from the early 1900s, an impressive 1962 Mustang roadster, a station wagon, VW Beetle and more. There are various campers on display too. There are lots of interactive kiosks that bring the exhibit to life as you explore. Probably shouldn't hire us as pilots! As we passed through the Driving America exhibit we looked to the sky for the museum’s newest permanent exhibit, Heroes of the Sky, which focuses on the first 40 years of flight. This is a fantastic exhibit! There is a replica of the Kitty Hawk, the plane that the Wright Brothers took to the sky in 1903. You can learn about inventors, explorers and other dynamic people who changed the way we travel. There are many cool actual size replicas of planes. And several interactive components (we had some fun with these!). The museum is fun for all ages! about our country’s fight for freedom, view the chair Abraham Lincoln was sitting in when assassinated in 1865, check out the Montgomery City bus Rosa Parks boarded in 1955, and much more. Which is why you need to plan an excursion to this gem! 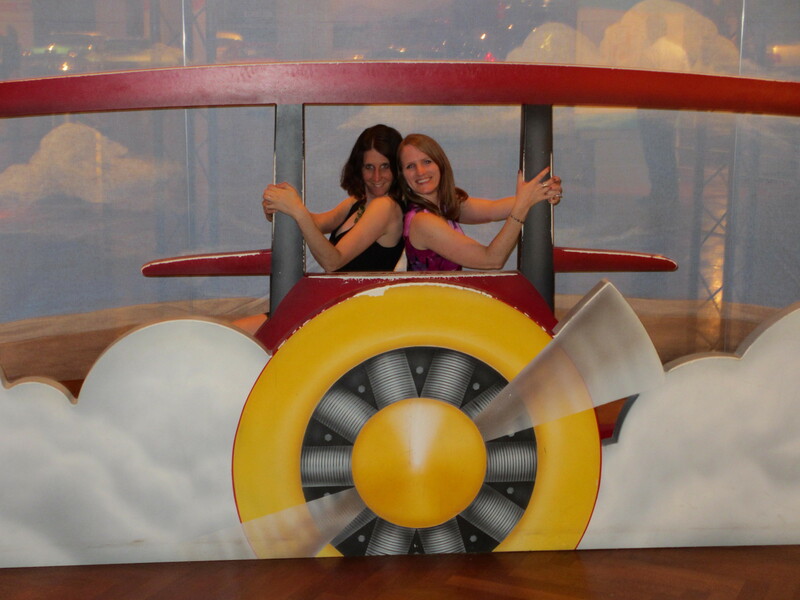 We so appreciated the opportunity to explore the museum while celebrating our friends’ wedding. It was different to wander with friends, have quiet time to learn about the exhibits, and try the interactive components (and of course take funny pictures). Whenever you choose to explore the Henry Ford Museum, you are certain to enjoy one of Michigan’s great cultural attractions.